Something really interesting is going on with Glam Media. To make a long story short Glam is basically a controversial site that runs both a network of its own web sites as well as runs ads on a network of third party sites geared towards women online and has just recently raised a massive amount of funding – $85M. The total funding for the company is already $114M. You may say yet another ad network site on Web and you might be right in part. However there was something really interesting with Glam – they were perhaps the only ad network out there that was guaranteeing ad revenues for their publishers, mainly lifestyle web sites oriented towards women. Let’s put it that way Glam’s business model was to guarantee some minimum flat pay outs to its publishers. Today, we have read on web, this practice seems to be changing – Glam is no longer going to pay for the entire ad inventory available at its participating web publishers that way effectively cutting off their revenues by 60% up to 80%. Public information is that Glam pockets about 40 to 50 percent of the revenues it gets from advertising on its partner sites, giving the rest back to the publishing partner. What is remarkable is that Glam pays nothing to produce the content on those publisher sites, meaning it is milking those sites for a full 40 to 50 percent of their worth — merely for providing them with advertising technology. Nonetheless the company has shown a tremendous increase of its traffic compared to the year before. ComScore reports that worldwide uniques across all sites that Glam sells advertising for had nearly 47 million unique visitors and 1.1 billion page views. Glam Network says it has over 200,000 quality articles across the sites involved. So one starts to wonder here is this a well thought strategy for Glam to attract lots of publishers by initially paying big bucks and once it achieved its goals (to raise massive amount of funding) to cut those publishers off its network by simply no longer paying them what it has initially been promised. It is no secret that Glam Media succeeded in raising those over $100M in funding money due to its huge reach of over 40M uniques per month across various women web sites and blogs. Once the task was accomplished Glam is no longer in need from those small blogs that perhaps represent a large portion of those 44M uniques per month or is simply changing the policy in order to survive. We have put their business model under some doubts the last time we covered their massive round of funding and then we have written that in today’s hugely competitive environment ad networks are working in everything boils down to who pays more the web publishers. Glam claims it pays most to its web publishers, but it is hard to believe how Glam can out pay Google when they had just $21M in revenues last year while Google’s payout was almost $4B to its web publishers for 2007. Let’s put it that way who earns more from the ad networks is who is going to be capable enough to pay more to the web publishers. So it seems we were basically right. Glam is discontinuing their practice of guaranteed ad revenues for its publishers. However, the big question here is for how long those web publishers are going to stay with Glam Media and what will happen to Glam if they leave? Here is what Glam has replied on Techrunch. As GM of the Glam Publisher Network, my team’s #1 priority is to ensure the success of our publishers and to help them secure high-CPM brand advertising. Unlike most other networks we do not compromise on our rate card and as a result, our partners benefit from high CPM brand advertising. When we’re unable to deliver a paid ad, we have traditionally run a Glam house ad (i.e. a current house ad announces our upcoming Glam Network blogger awards). Publishers have requested more choice for the impressions that our house ads would normally fill. This default ad technology simply replaces the Glam house ads with a host of options. This is similar to standard network ‘default’ technology that’s been in general use for years. I want to acknowledge that Glam is successful because of our publisher partners. As a company, our focus is on convincing the brands to engage in new ways with a media landscape made up of independent premium publishers with passionate audiences. We welcome the ongoing dialogue. Glam Media’s distributed media network model is revolutionizing the very definition of what a media company is in the 21st Century. With 44 million global unique monthly visitors (comScore MediaMetrix), Glam Media provides a compelling mix of fresh, original content created in-house with a carefully curated Glam Publishing Network of more than 450 popular and influential lifestyle websites, blogs and magazines. For premium national brand advertisers, Glam Media offers an unprecedented array of targeted options that are singularly attractive to both upscale and aspirational consumers. Samir Arora founded lifestyle hub Glam Media to create a better way for brand advertisers to connect with their audiences on the Web. 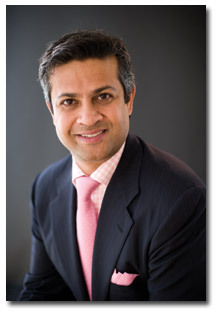 A tech-industry veteran, Arora was previously the chairman of Emode/Tickle, Inc, which was later sold to Monster in June 2004. Prior to that, Arora was chairman and CEO of NetObjects, Inc. where he drove the creation of the first web site building product NetObjects Fusion. Arora also currently serves as chairman of Information Capital LLC, a venture capital fund based in Woodside, Calif., that invests in leading-edge “big idea companies” in consumer publishing, media, and technology. Major competitors include iVillage, AOL Women, CondeNet, Elle.com, auFeminin.com, Womensforum.com, SINA Women, QQ.com Women, BabyCenter Network, among others. A controversial site Glam that runs both a network of its own web sites as well as runs ads on a network of third party sites geared towards women online has raised a massive amount of funding – $85M. 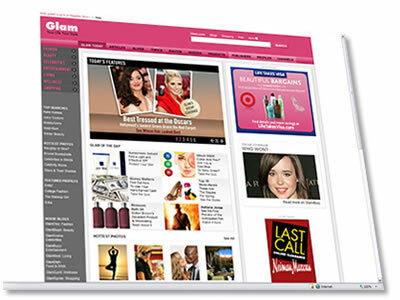 Glam Publishing Network operates more than 450 popular and influential lifestyle websites, blogs and magazines, but it seems Glam.com is the main anchor with the largest reach among those web properties. They also sell advertisements for other sites, which make up the vast bulk of its huge amount of page views. The network has been criticized in the past for claiming to be the largest women’s site on the Internet, and the fastest growing site in the U.S., based on traffic coming from third party sites they sell ads for. We tend to agree with those arguments because we do believe it is inaccurate for an ad network to claim the traffic of its participating web publishers for its own. ComScore allows publishers to “assign” their traffic to another organization, letting ad networks pool the traffic from all client sites. If a widely used ad network like Google AdSense used this system, Google’s network would be by far the largest. But, it’s a disingenuous statistic, especially since Glam likes to pretend it’s not an ad network. Glam, opposes that it’s more than a network: They say, like Microsoft has done with Facebook and Digg, and Google has done with MySpace, their network buys up some sites’ ad inventories at a guaranteed rate. That means the profit — the loss respectively — from those ad buys is entirely Glam’s. But it’s said to be a very risky business model. For an example even the mighty Google has recently said, in their earnings call, that ads on MySpace weren’t performing quite well, which means losses for Google. So what will happen to Glam if the ad inventory they are buying does not perform well too? Glam has landed some top-tier investors like Hubert Burda Media, GLG and DAG. Glam has offices in Brisbane, Calif. and New York and the pre-money valuation is said to be $425M. Glam Media, Inc. has closed $84.6 million in private financing, with $64.6 million in Series D funding and $20 million in revenue-based debt financing. Proceeds of the financing will be used to accelerate the growth of the company’s distributed media network that connects premium brand display advertisers with online audiences worldwide. The equity financing round is led by Hubert Burda Media, an international media powerhouse and publisher of more than 260 magazines titles and an investor in more than 25 high-growth digital holdings. Other investors for the round include: GLG Partners, a leading alternative asset manager; Duff Ackerman & Goodrich Ventures (DAG), a leading crossover fund with a rich history in Internet and TV networks; and existing investors Accel Partners, Draper Fisher Jurvetson, Walden Ventures and Information Capital. Hercules Technology Growth Capital, a leading provider of debt and equity capital, will provide the debt financing. The new funding will fuel Glam Media’s aggressive global expansion in 2008 across new territories and categories, focusing on transforming brand display advertising on the Web as the market shifts away from the dominance of portals and destination sites to the distributed media network model that Glam Media helped pioneer. The funding will also be used to make strategic acquisitions, invest in technology to grow the distributed media model and further global growth. Christiane zu Salm, who joins the executive management board of Hubert Burda Media in April 2008, will join the Glam Media Board of Directors as an observer. Ms. zu Salm was founder of interactive TV network Neun Live and formerly managing director of MTV Central Europe. Dr. Marcel Reichart, managing director of Research & Development, Marketing and Communications at Burda, and co-founder of the prestigious DLD conference, will oversee the relationship between Burda and Glam. In a separate announcement today, Glam unveiled its rollout in key international markets starting in the United Kingdom, where Glam along with its publishers is already number one in audience reach, ahead of long established media companies including iVillage and CondeNet. Banc of America Securities and Allen & Company served as the lead placement agents, with Deutsche Bank as a participating investment bank helping in the placement of this round. Glam Media continues to experience significant growth both in traffic to Glam-owned-and -operated properties and via the reach of its publisher network of 450+ lifestyle websites and blogs. Recent strategic hires—including senior sales executive John Trimble from Fox Interactive, former Yahoo! Smart Ads platform executive Dr. Kiumarse Zamanian and Joe Lagani, former Conde Nast publisher—further position the company to take advantage of the market focus and demand for premium brand display advertising. Glam Media’s distributed media network currently includes Style, Living, Entertainment, Wellness and Shopping channels. Each channel brings together a blend of original editorial, syndicated and media partner content and curated content from the 450+ sites in the Glam Publisher Network. Glam Media provides media services—display and video advertising, content syndication, advertorials, search and other application services to its highly select network of publishers and managed vertical networks for traditional media companies. Glam Media’s pioneering distributed media model has helped hundreds of publishers start and build their businesses by helping them focus on what they love doing the most—creating original content and engaging their audience—while Glam Media creates the “ecosystem” that helps support and leverage the publishers’ power for advertisers worldwide. Hubert Burda Media is a $2.4 billion in revenue international media group with more than 7,000 employees that first entered the market more than 100 hundred years ago. Today, the company’s portfolio comprises more than 260 magazines worldwide, over 25 digital holdings, radio networks and television productions as well as media sales, printing and direct marketing operations. Online sources have reported than Glam was looking to raise as much as $200M in August 2007. A document from Glam’s financial advisers, leaked on the Internet last year, suggested the above whopping amount but Mr. Arora says that Glam didn’t plan to raise that much in this round, and that the funds actually raised exceeded its board’s targets. He says the company expects to continue to increase its debt financing to as much as $100 million, in line with its revenue growth. Theresia Gouw Ranzetta, a Glam director and general partner at Accel Partners, a Glam investor, says she had initially wanted the company to raise just $40 million or $50 million. She concluded it wouldn’t be bad to raise a bit more as a “rainy-day fund” because of current macroeconomic uncertainty. The company, according to their original offering document is not yet profitable. They lost around $3.7M on $21M in revenue in 2007 but they project revenues in $150M range for 2008 with promised $40M in profit. The company was launched in 2005 and had previously taken $30M. The company has an ambitious plan to build its own “AdSense”, which they call Glam Evolution Ad Platform. In today’s hugely competitive environment ad networks are working in everything boils down to who pays more the web publishers. Glam claims it pays most to its web publishers, but it is hard to believe how Glam can out pay Google when they had just $21M in revenues last year while Google’s payout was almost $4B to its web publishers for 2007. Let’s put it that way who earns more from the ad networks is who is going to be capable enough to pay more to the web publishers.